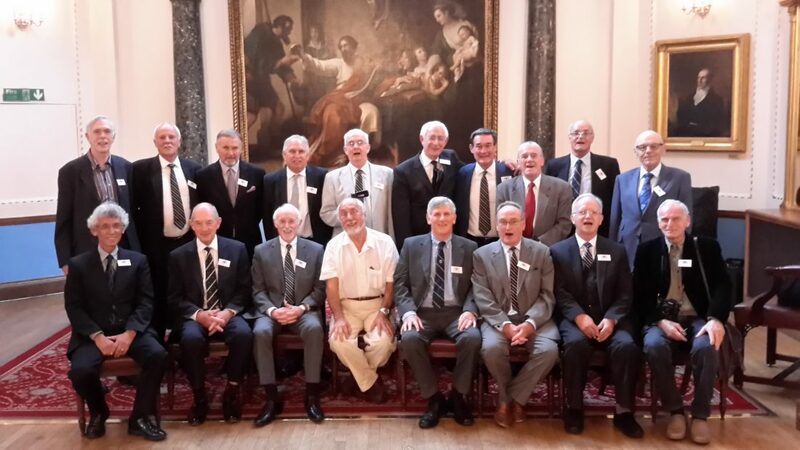 Our very successful first ever reunion of the 1955 intake which we were very privileged to hold at Stationers' Hall on 4th September 2015 (60 years from the day that we first arrived at the School). 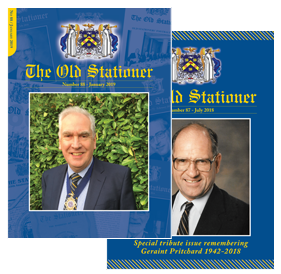 It had been planned and organised by Peter Bonner and John Fiddy-but sadly Peter's brother Mike had died just before the reunion and as his funeral was on September 4th, Peter was unable to be there. We assembled in the Courtyard Garden for a drinks reception and then sat down in the Court Room for a very enjoyable meal. During the lunch we were addressed by Mike Heath who was our Head boy in 1961-2. It was a wonderful occasion which continued afterwards in the Cockpit where all agreed that future reunions would be planned.It was pleasing to hear that those present who were not members of the OSA would be joining soon.